Nyantakyi, who was vice-president of the African Football Confederation, was banned by FIFA after being filmed taking $65,000 from an undercover reporter. The bribery revelations formed part of a two-year undercover media investigation into football corruption in Africa and also revealed footage of more than 100 referees and officials allegedly taking cash before games. In a series of local interviews, Nyantakyi alleged that insiders at his association paid investigative journalist Anas Aremeyaw Anas to bring him down. Among his more outlandish claims were that Tiger Eye Private Investigations, set up by the award-winning Anas, was a criminal organisation operating like the terrorist Islamic State group. “They don’t have license to do what they are doing… going round, setting up people recording and embarrassing them in public. Tiger Eye PI is a criminal organisation that operates like ISIS,” he raged. Nyantakyi, who was also a FIFA Council member and is appealing against his ban, suggested that the investigators themselves demanded money to withhold footage but when he was not forthcoming decided to go ahead with the expose. 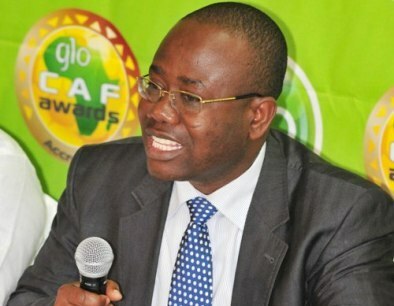 Following the explosive documentary on corruption in Ghana football Nyantakyi resigned from all the positions he held at GFA, CAF and FIFA levels. Last month one of the Tiger Eye team was shot dead following the corruption exposé. Reports said Ahmed Divela Hussein-Suale was killed by unidentified assailants on motorbikes as he drove home in Accra after a Ghanaian politician called for retribution.